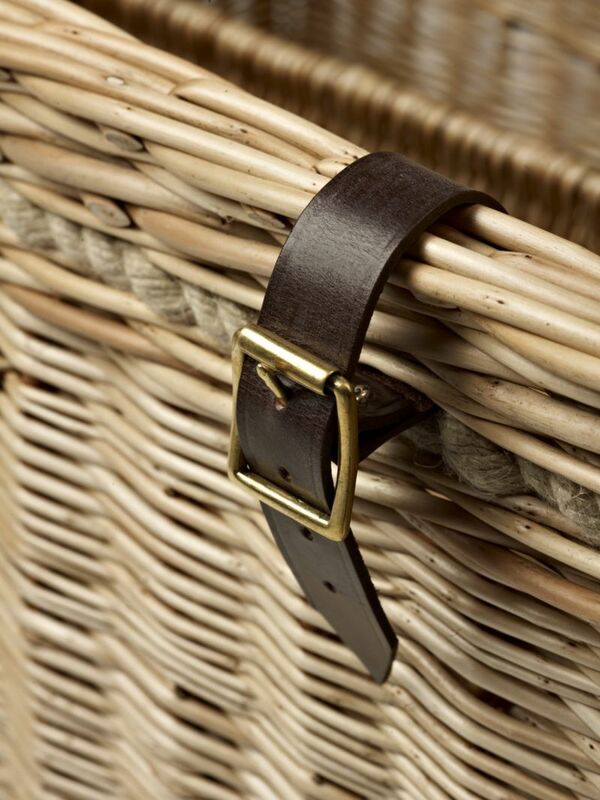 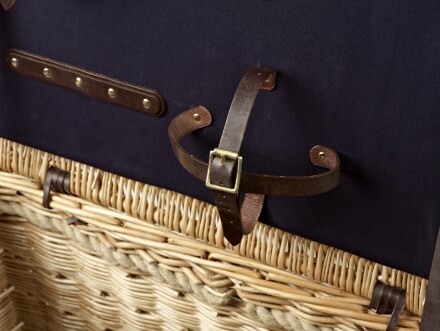 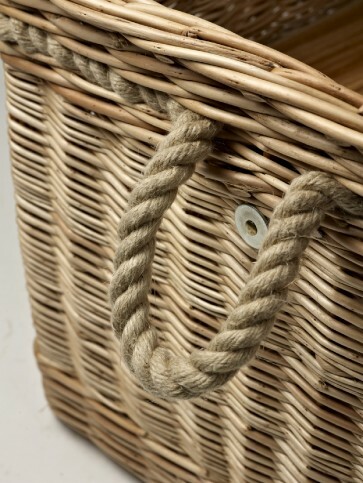 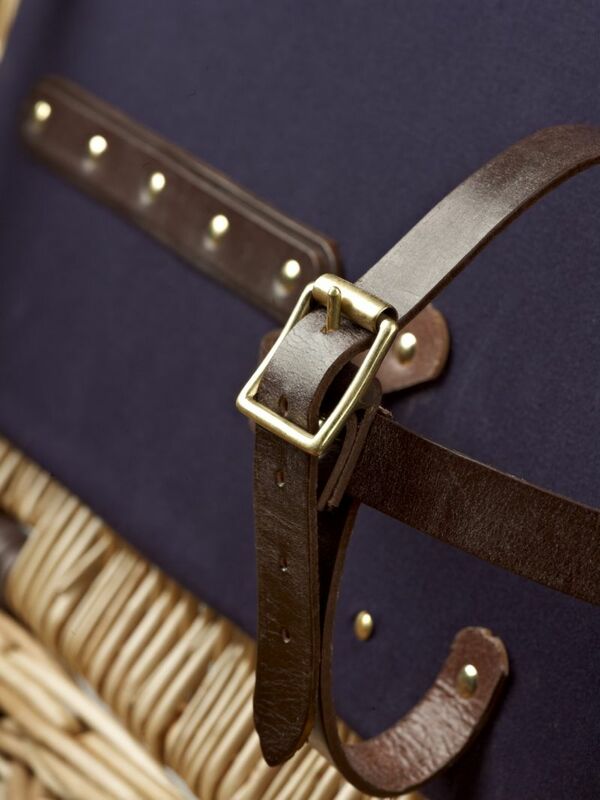 This exquisitely handcrafted English Afternoon Tea Basket is shown here in the aged weatherbeaten gold willow finish with a navy blue backboard, dark brown leather strap and buckles and subtle interwoven hemp rope handles. 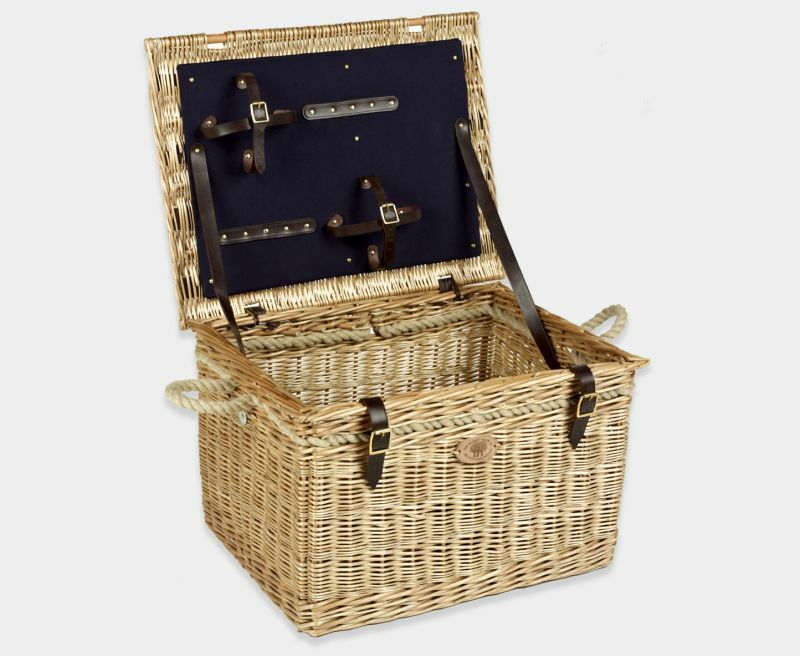 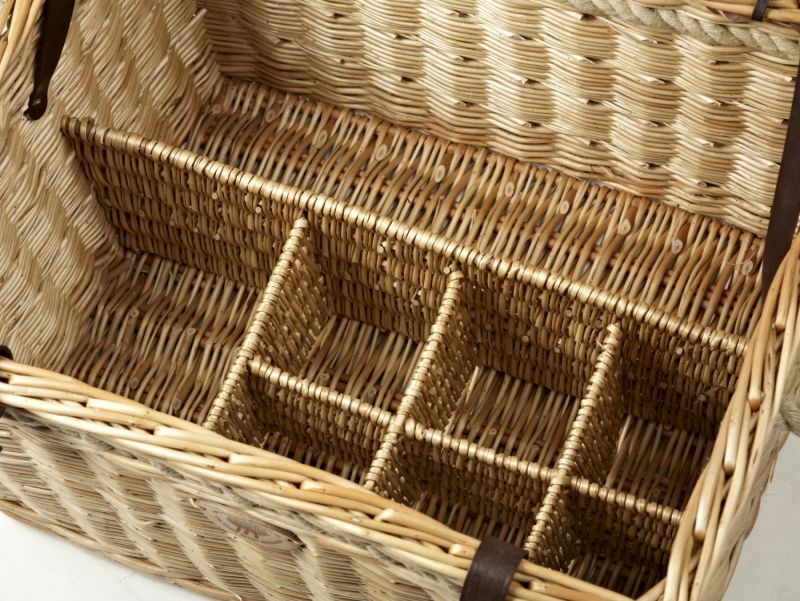 The basket comes fitted with elegantly crafted interior partitions to hold four teacups, one teapot, two flasks and a precisely situated oak serving board which straddles the teacup area of the basket, to enable the ease of serving tea. 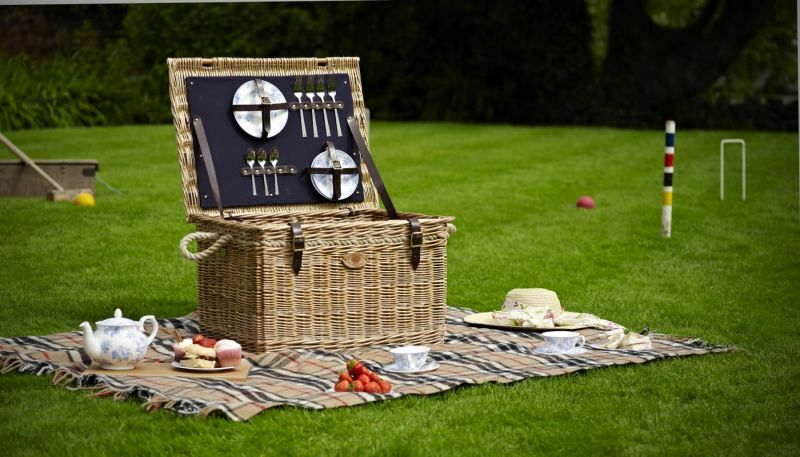 The backboard will accomodate four teacup saucers, four tea plates, four forks and four teaspoons. 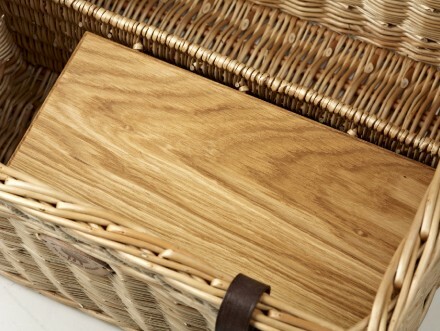 The aristocratically styled English afternoon tea basket is made exclusively by hand in our workshops in Somerset using locally grown Somerset willow and is a perfect example of British craftsmanship and ingenuity at its best. The basket suits up to four persons and will accommodate four tea cups and saucers, one tea pot and two flasks.